Wedding cake packages are available for couples planning intimate wedding ceremonies at Gramercy Mansion for 20 or fewer guests. 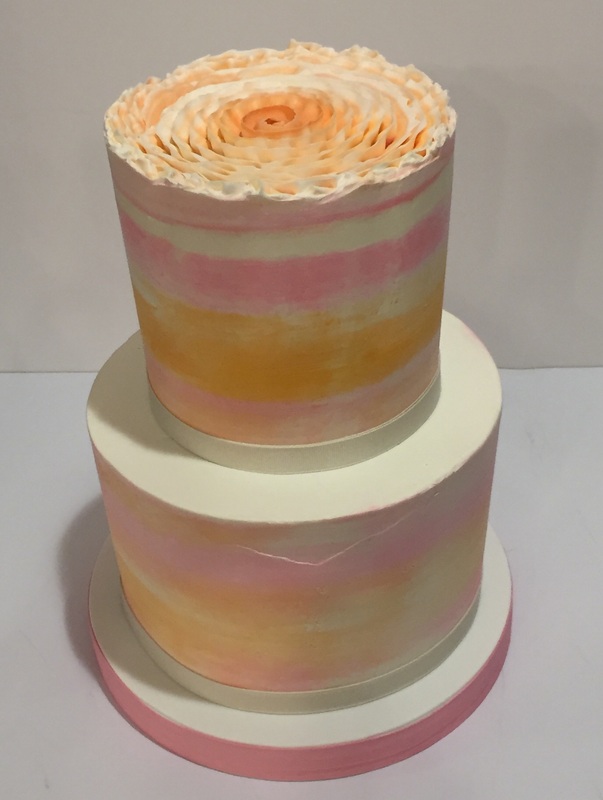 Choose from four different custom cake options by La Cakerie with nineteen cake and filling flavors to decide from. 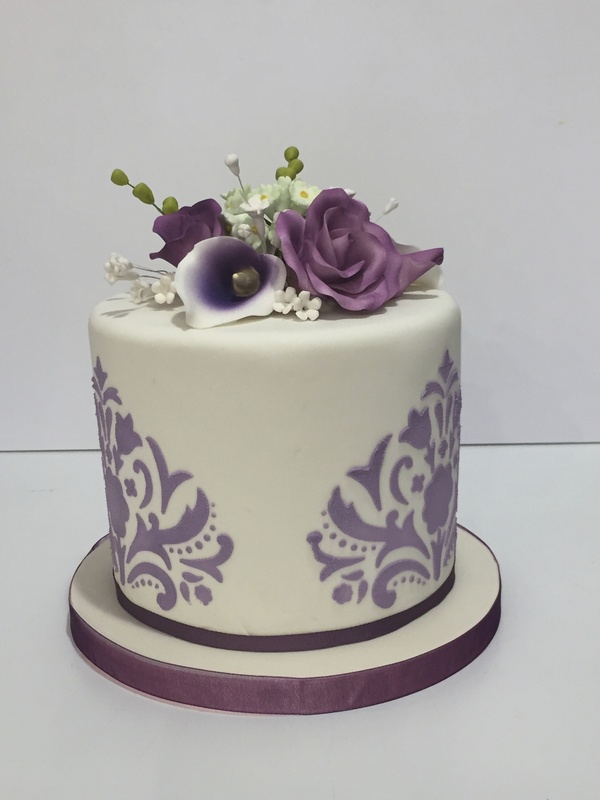 Cakes have buttercream icing, with the exception of the Lavendar Damask, cake which has fondant icing. Colors can be customized upon request. Click here for a complete list of cake flavors. Gramercy staff will set up the cake and provide clear plastic plates, cups, cutlery and napkins along with sparkling water or cider for guests with plastic champagne flutes. Wedding couple may provide champagne for guests. Wedding couple/party is responsible for cutting and serving the cake. 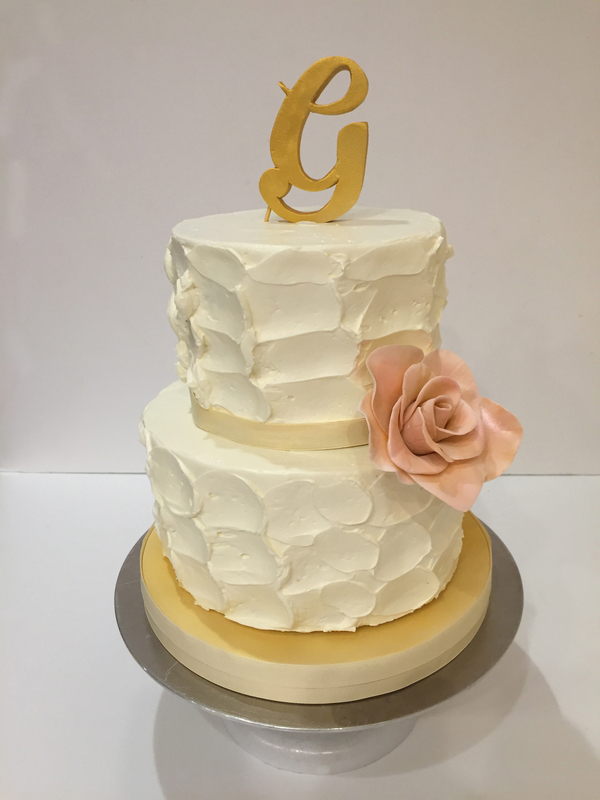 Wedding cake packages are available for intimate wedding ceremonies (20 or fewer guests) taking place midweek, Monday – Thursday, throughout the year, with the exception of January, February and March, when weekends are included based on availability. Not available on holidays. 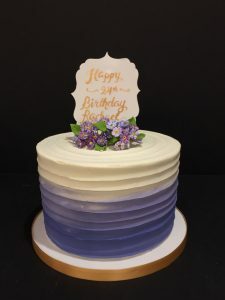 In addition to the cost of the selected cake below, couples reserving a wedding cake package must also reserve an additional 1/2 hour ($400) or hour ($600) to allow enough time for cake following their ceremony. Couples reserving additional time for their ceremony celebration may provide their own cake and disposables if preferred. Gramercy Mansion will supply a cake table and linen upon request. Call 410-486-2405 for details and cake orders.